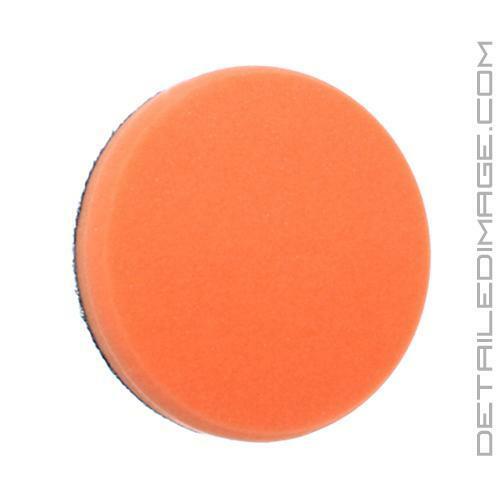 The Orange Light Cutting Pad is perfect for applying medium cutting polishes and compounds that reduce and eliminate swirls and fine scratches. The Lake Country Orange Cutting Pad is a special blend of foam that allows abrasive polishes to work deep into the clear coat's surface, delivering highly effective cutting power. The extra cutting power this pad provides is essential to removing the swirls and fine scratches, but is very safe. This pad helps you build optimal levels of heat and pressure to properly break down and work in a polish. Typically you will follow up this polish and pad with a lighter polish and pad combination. 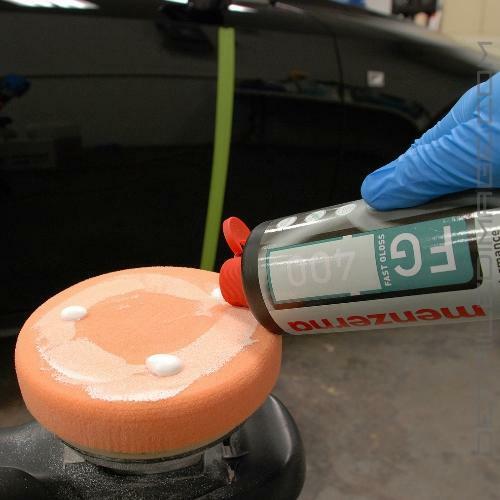 Using a lighter polish and pad after helps ensure there is no haze left on the surface and you get maximum gloss. 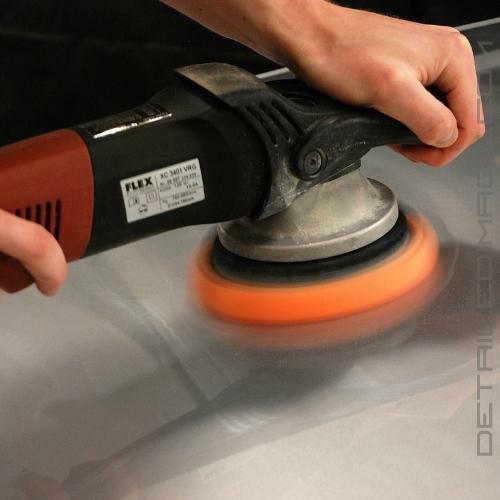 This entire process is quite safe and a standard detailing process for improving the optical clarity of your clear coat. After completing this process you will allow more light to pass through the clear coat and increase the brightness of your paint. Using the light cutting pad is a great way to begin a detail and create the most dramatic results. First time using these Lake Country orange cutting pads and I like them, I used them with Griot's BOSS Correcting Cream on a Japanese car with relatively soft clearcoat and it took out all but the worst of the scratches and swirl marks. I will definitely buy again but I will also be trying the Force pads. Hats off to Lake Country for another great product, it gives the results needed to make my customers happy. And Detailed Image A BIG thumbs up for your price and selection. You guys are awesome five stars in my book. I bought the Lake Country orange cutting pad in the 3 inch size. I should have gotten the 3.5 inch with the flair out at the bottom, but these pads work great anyway. Flexible for what I need them to do and easy clean up. Good product. And Detailed Image shipped them to me fast.